Frank counted himself lucky when he realized that a zombie outbreak had broken out back on earth. He was nice and cozy in the space station. Sure, he was worried about his friends and family but at least he didn't have to hear the growls or worry about taking any of the monsters down. He simply floated around in zero-gravity and crossed his fingers. Well, he didn't realize that earth had sent his replacement off two days before it all went down. When the ship docked he didn't get the soft-spoken replacement he thought he was going to get. Instead, he was met with a snapping, drooling biter in a spacesuit. Are you ready for decor that'll really shake up your Halloween game? 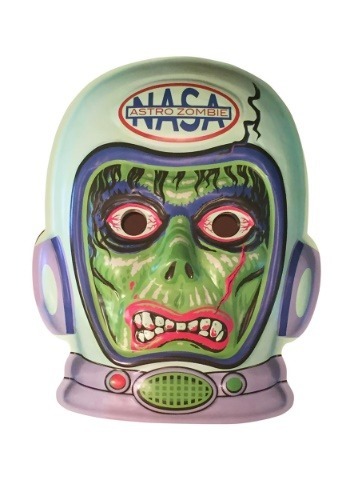 This three-dimensional wall decor is a blown up version of a retro mask. The face is grimacing and filled with detail. 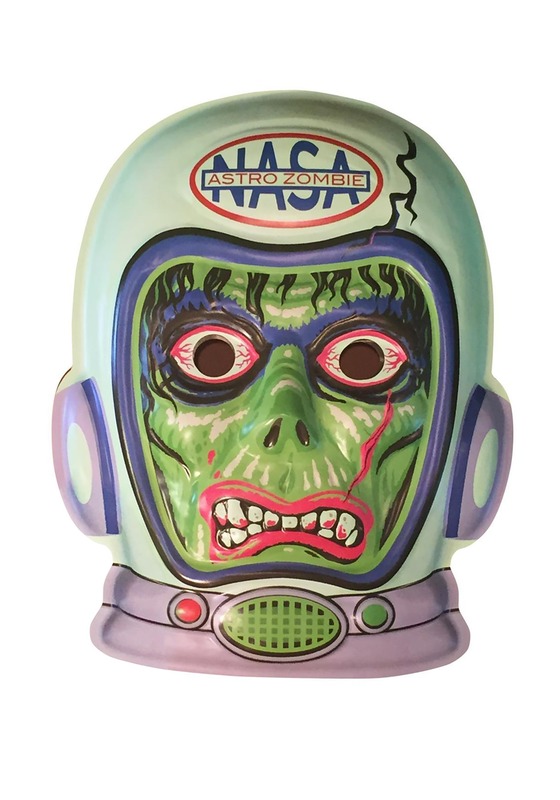 The NASA logo is interrupted with Astro Zombies so people will know to avoid that particular piece of space detritus. We want to clear something up. Our spaceman Frank didn't get bitten. He's actually back on earth, still working with NASA. He took his helmet threw it over the snapping monster's head and escorted the blood-thirsty fella into the black abyss of outer space. That's one way to solve a problem!